One anterior spinal artery : which runs along the anterior median fissure and supplies the anterior grey column, lateral grey column, central grey matter (lamina X), anterior funiculus (white matter), lateral funiculus the anterior portion of the posterior grey matter. 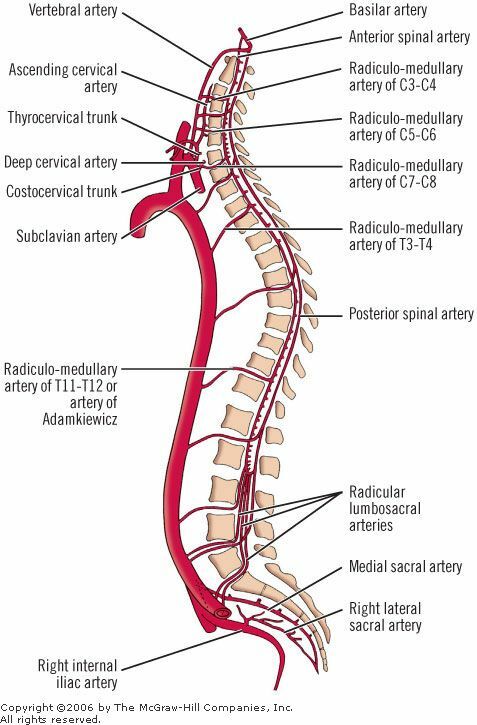 Three quarters of the blood supply to the cord are derived from the anterior spinal artery. They account for 1.25% of all strokes. MR angiogram is a useful tool for screening AVM in suspected spinal strokes. Acutely ABC. IV steroids may be given. A lumbar drain may be placed to drain cerebrospinal fluid (CSF) in anticipation of possible further cord swelling and oedema. Keep mean arterial pressure (MAP) goals adjusted to at least >70 mmHg (ideally >80 mmHg) to increase perfusion to the spinal cord. 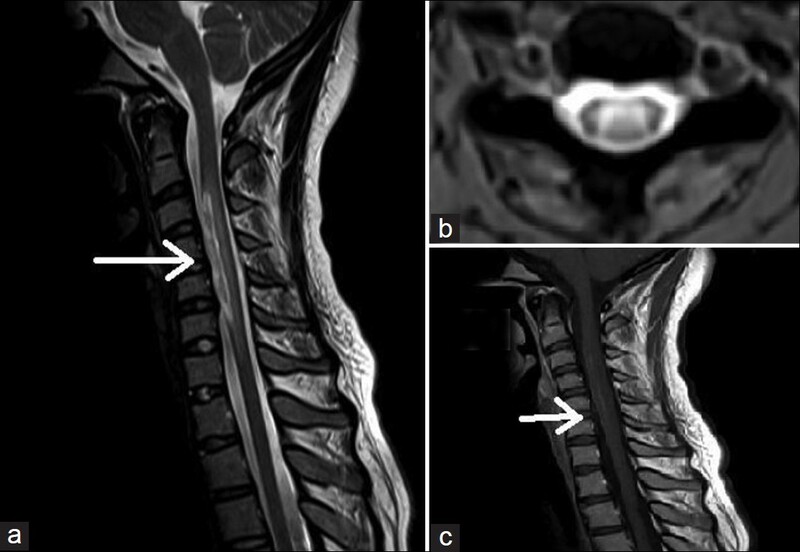 Spinal Cord Stroke: Acute Imaging and Intervention. Case Rep Neurol Med. 2012; 2012: 706780.